KATHMANDU, Jan 10: Rejecting the contempt of court charge brought against him, Dr Govinda KC has accused Chief Justice Gopal Parajuli of undermining the dignity of the judiciary. He was recording his statement at the Supreme Court on Tuesday. 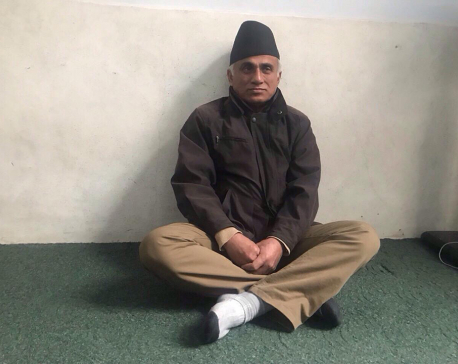 Dr KC, who was produced before the apex court in the morning, recorded his statement regarding the contempt of court case lodged against him in a suo moto notice on Monday. The statement was recorded at the division bench of justices Om Prakash Mishra and Kedar Prasad Chalise. Recording his statement for more than two hours, KC reiterated the allegations that he made against Chief Justice Parajuli during a press conference organized before starting his fast-unto-death Monday. He is fasting demanding the resignation of the chief justice. "He has not changed anything that he has been saying," advocate Surendra Bhandari, legal counsel to Dr KC, told Republica. "Recording of his statement concluded on Tuesday and the case has been scheduled for hearing on Wednesday," he added. The apex court had initiated the contempt action against Dr KC after the lodging of a report by Netra Bandhu Paudel. Paudel, a section officer at the court, lodged the report after KC was reported accusing Parajuli of being 'corrupt’ and a 'mafia don’ in a press statement issued Monday. Several online platforms had immediately carried news on his statement that was distributed during the press conference. Dr KC has stated ll various points to show how Chief Justice Parajuli had undermined the dignity of the judiciary. Reiterating that the CJ had promoted corruption and irregularities by deciding cases in favor of Chudamani Sharma, Gopal Khadka, and NCell, Dr KC accused him of misleading the judiciary and giving space for corruption and irregularities at the apex court. The written statement, which Dr KC used for recording his court statement and which was distributed to media by his counsel Bhandari, stated that the apex court had made a mockery of the rule of law when NCell was given a tax waiver amounting to Rs 60 billion. He also called for a judicial inquiry into the matter. 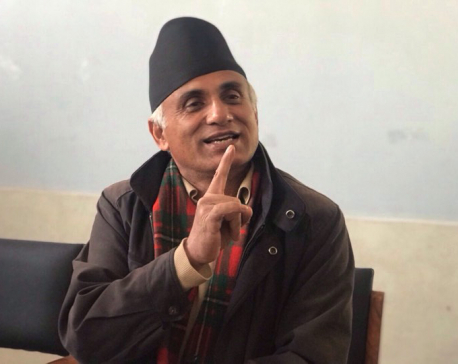 In his statement, Dr KC further alleged that the CJ had two different citizenship certificates and pointed out that possessing two different citizenship certificates was a serious crime. Stating that the CJ had not only acquired two citizenship certificates but also changed his date of birth illegally with an intention to stay in office for a longer period, he alleged that this was no less serious than peddling justice. KC accused Parajuli of trading the acquittal of former chief of the Commission for Investigation of Abuse of Authority (CIAA) Lokman Singh Karki for the appointment of a relative as legal advisor at the anti-graft body. He called for an investigation into the matter and for action for a misuse of judicial position for personal gain. Stating that there was controversy whether Parajuli had acutually passed the School Leaving Certificate (SLC) examination, Dr KC also called for reopening of the investigations initiated by Parajuli’s immediate predecessor Sushila Karki. Claiming that holding a judicial position without proper academic qualifications was also a serious offense, he called for disclosure of the origional documents concerning the investigations of the Judicial Council and the Constitutional Council into his appointment. KC also accused the CJ of engaging in bench shopping while issuing a stay order in a land-plotting case lodged by advocate Jagadish Acharya. He, likewise, accused him of giving millions in tax waiver to five-star hotels operating casinos. 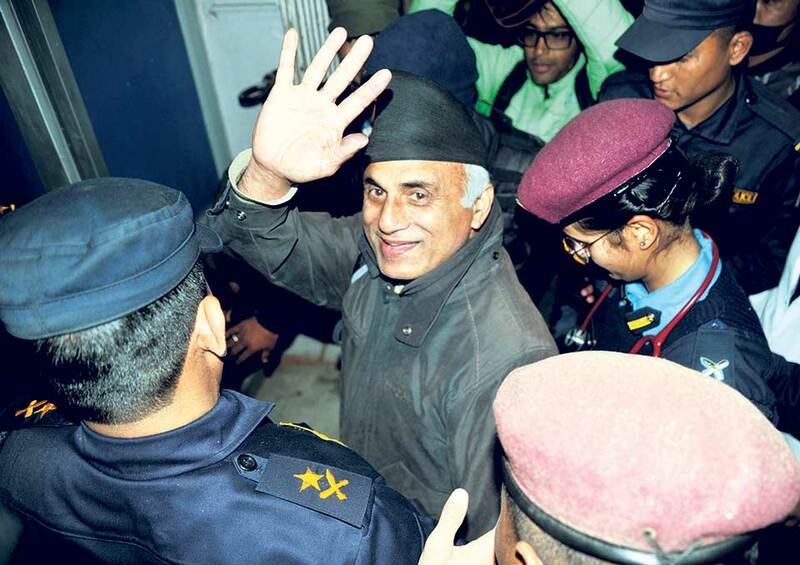 Further stating that he had favored Nahakul Subedi, giving him three major promotions within six months, Dr KC alleged that the CJ had created serious obstacles against judicial independence. He also accused Parajuli of assuming his position illegally the same night politicians lodged an impeachment motion in parliament against then CJ Karki. KC alleged that all controversial medical education-related cases were handled by Parajuli himself, showing his nexus with the medical mafia and exposing his character. He demanded a probe. KATHMANDU, Jan 10: Hundreds of people from various walks of life came out onto the street on Tuesday against the detention of Dr Govinda KC. They chanted slogans calling for his immediate release. Members of the general public and professionals from various sectors slammed the arrest of Dr KC and expressed solidarity with his cause. Former prime minister and coordinator of Naya Shakti Party Baburam Bhattarai, former health minister Gagan Thapa, leaders of different political parties and human rights activists were among those taking part in the rally organized by the Solidarity for Dr KC Alliance in the capital. Demanding the resignation of Chief Justice Gopal Parajuli for reinstating Dr Sashi Sharma as IOM dean, Dr KC started his 14th fast-unto-death Monday. He was arrested Monday evening on the charge of contempt of court. Speaking at the rally, former minister Thapa, who is a central member of the Nepali Congress and a newly elected member of parliament, said they are also ready to face contempt of court for speaking up if there is corruption in the judiciary. “Dr KC is working for the health rights of ordinary people in the country,” he added. Similarly, Rabindra Mishra of Bibeksheel Sajha Party urged the government to take up the demands of Dr KC. He called on the government to immediately release Dr KC, pointing out that he did not have any intention of defaming the independent judiciary. 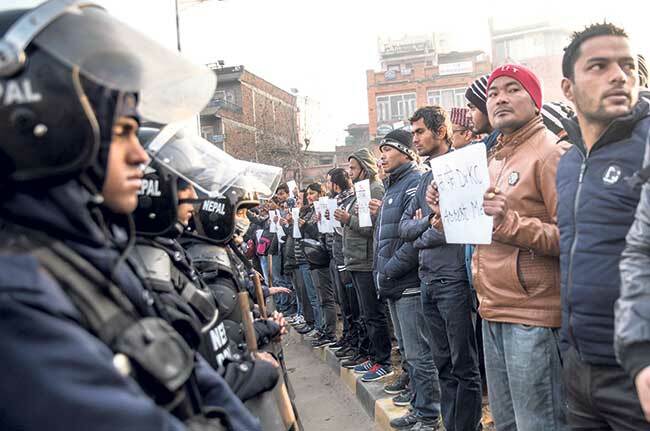 Different organizations and political parties including Bibeksheel Sajha issued statements Tuesday criticizing the authorities for arresting Dr KC instead of taking action against corrupt officials. They called the arrest a move against the rule of law. Dr KC, who has been admitted to Bir Hospital for treatment, affirmed that he would continue his hunger strike even under custody. He has presented a seven-point demand including the resignation of Chief Justice Parajuli, immediate formation of the Medical Education Commission, and the appointment of the IOM dean on the basis of seniority, canceling the reinstatement of Dr Shashi Sharma as dean. The Supreme Court ordered the government on January 7 to reinstate Dr Sharma. The apex court order allows incumbent IOM Dean Dr JP Agrawal and Dr Sharma to work together for the four days that remain in the latter’s tenure as dean. According to Tribhuvan University sources, the university is planning to remove Dr Agrawal after the completion of Dr Sharma’s tenure. Dr KC had undertaken a 13th fast-unto-death from October 5, demanding the passage of the Medical Education Act as per the spirit of the Mathema taskforce report. Dr KC postponed the strike on October 18 after the government assured him it would bring the Act through ordinance. On October 23, the cabinet approved the Medical Education Act ordinance.